Amazing 2 days tour to Luxor will let you discover not just the most famous temples and shrines of the city like Karnak and Queen Hatshepsut temples, but you will also visit a beautiful Medinat Habu temple and Ramesseum, enter some world known tombs in the Valley of the Kings as well as visit The Valley of Nobles. 17:00 pm In the early morning pick up from your hotel to experience Hot-Air balloon ride over Luxor. 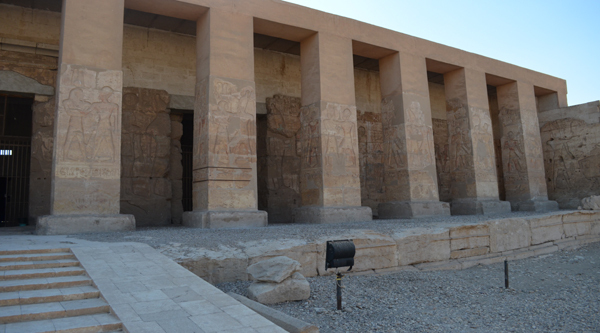 Transfer to the West bank of the Nile to discover Medinet Habu Temple. 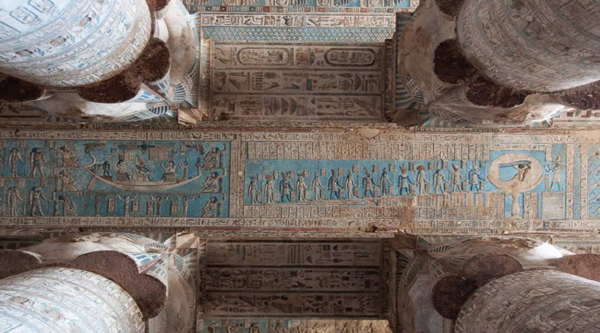 Visit to Valley of Nobles and some of its tombs opened to public. Pick up in the early morning from any hotel in Hurghada. Should you wish to be picked up from other areas including Makadi Bay, Sahl Hashish, el-Gouna or Safaga additional transfer fee will be applied. Transfer to Luxor by a/c van may take up to 4 hours. Arrival in Luxor and meet with our English speaking Egyptologist guide. First of all we will go to discover the west bank of the Nile where Valley of the Kings is located. 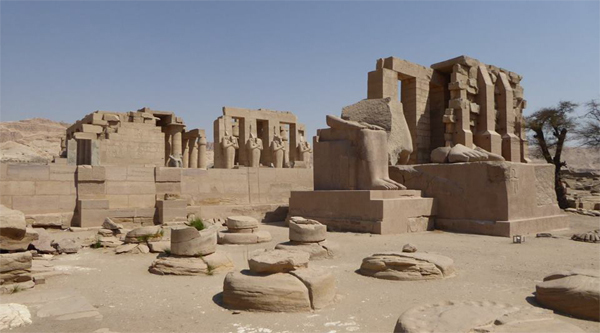 Here we will stop at newly discovered and restored Memnon Colossi and Amenhotep III temple. Then let’s move to Queen Hatshepsut temple at Deir el-Bahari. Next stop will be at the Valley of the Kings where we can visit three opened to public tombs. Should you wish to enter the tomb of Tutankhamon, an extra ticket must be (optional visit). Here we will also have a chance to visit Alabaster factory and discover how in ancient Egypt Egyptians made their vessels and jars. After West bank visit we will have lunch in a local restaurant (drinks are not included and can be ordered with extra charge). Optional visit to Banana island is also available. Second part of our day will be dedicated to the east bank visit. 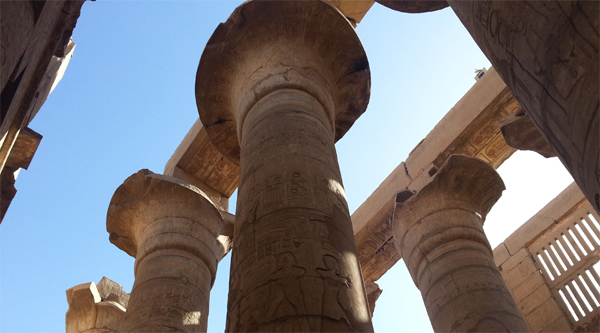 Our goal is the Greatest religious complex of all times – Karnak temple. It is not just one temple, but temple within temple. So many small temples and shrines can be discovered there, old and new pylons , Sacred lake and a famous statue of a Scarab. After we finish temple visit let’s move to our 5* hotel where we’ll overnight. In the evening optional activities can be done. You can visit Karnak temple and watch Sound & Light show there, you can go and discover Luxor temple and Sphinx avenue, Luxor museum or Mummification museum are also available to explore. In the early morning you can do Hot-Air balloon ride over Luxor as well. Please, contact our guide for options available. Next day after breakfast in your hotel let’s go back to the West bank and see what else we can discover there. 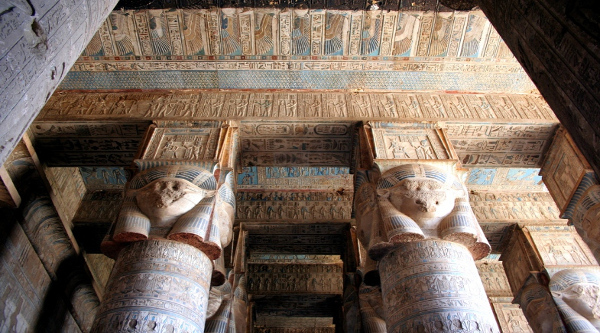 First of all let’s visit a charming Medinet Habu known as Mortuary temple of Ramses III and have a look at Ramesseum. 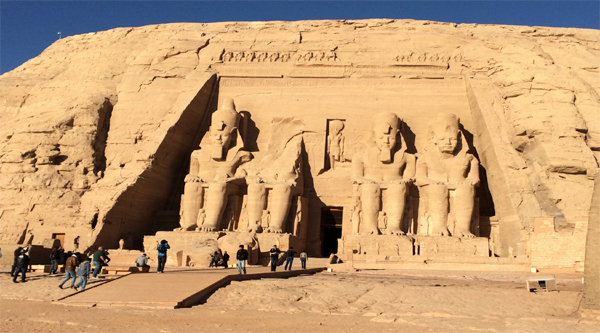 It is a relatively small temple built by Ramses the 2nd. Recent excavations there revealed many interesting facts and buildings of the era. Our last stop will be at The Valley of the Nobles. It is quite different from the Valley of the Kings. The tombs here are decorated with murals of everyday life and are not so much dedicated to the religious books and images. We will visit the tomb of Ramosa who was vizier and governor of Thebes at the time of Akhenaton and the Amarna period. After lunch in a local restaurant we will move back to Hurghada. Estimated arrival time 8 pm.